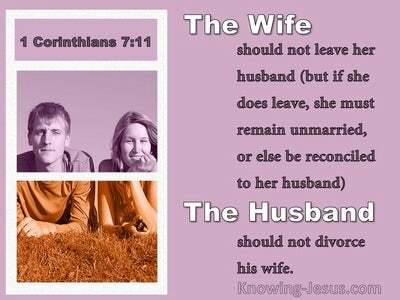 What Does John 6:55 Mean? The closer that the Lord Jesus drew to the cross, the more we see His teaching begin to shift away from His early mission, where He came only to the lost sheep of the house of Israel as their faithful Shepherd.. to His wider role as the eternal Son of God.. Who was sent to earth by our heavenly Father, in order to offer up His life as the ransom price for the sin of the whole world. The apostle John had written his gospel.. in order that we may know and believe that Jesus is the Christ, the Son of God; and that by believing in Him we may have life in His name. And although the written Scriptures, the Messiah and God's plan of redemption was to come through the Jewish nation, God in His grace knew that for a time Israel would have to be set aside, due to unbelief. The Church, which is the body of Christ, would have to be formed in order to be God's earthly representatives for a time.. and share the good news to a lost world. 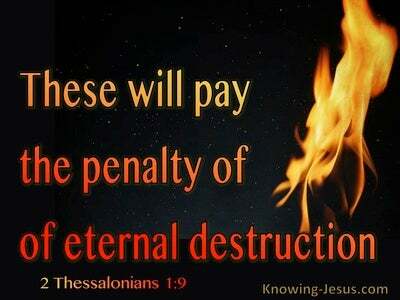 But before this was to happen the Lord Jesus was to offer His life on the cross, as a ransom for many. As Christ's ministry progressed the apostle John incorporated a number of signs that would give clear and irrefutable proof to the nation of Israel that Jesus was the promised Jewish Messiah - and that by believing in Him they might have life in His name - and have it more abundantly. 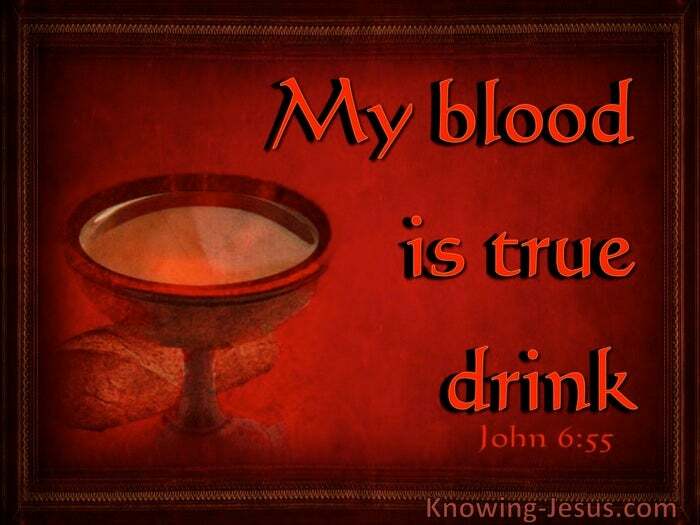 The first sign was at a wedding in Cana of Galilee, when Jesus turned water into wine - for this was the point where we read that His disciples first believed in Him. 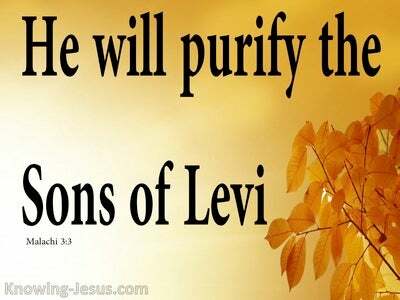 The second and third signs were connected with healing those that were sick, for as Isaiah prophesised - the Lord God anointed and qualified Christ Jesus to preach the Gospel of good tidings to the meek, the poor, the helpless and the afflicted. He was sent to bind up and heal the brokenhearted, to proclaim liberty to those that were in both physical and spiritual captivity - and to open the blinded eyes of those who are bound by the god of this world. And we read that many believed in Jesus - and many followed Him. His fifth sign was the feeding of the 5000 men, which demonstrated that Jesus was the living bread.. Who came down from heaven to feed the hungry and to give refreshment to those that were tired and thirsty - for Jesus proclaimed: He who comes to Me will never be hungry, and he who believes in Me will never be thirsty. And it is following His fifth sign, where Jesus walked on water, stilled the storm and rescued those that were perishing.. that He started to give a message that was increasingly difficult for His followers to accept - it was a message which caused many of them to leave Him and to walk with Him no more. Despite all the signs that Christ performed in His ministry and despite each one being a direct fulfillment of prophetic Scripture.. the Jews called for a yet another 'sign', which would meet their own criteria.. as proof that He was their Messiah!! Biblical proof from the prophetic Word of God was not sufficient for this adulterous generation of Jews.. they demanded a different sign - but elsewhere we read that no other sign would be given to this generation except the sign of the prophet Jonah - three days and three nights in death followed but a miraculous resurrection. As the Jews of His day started to reject the biblical signs that authenticated Christ's messiahship, the Lord Jesus began to give a much more graphic teaching on Who He was and why He had come: I am the bread of life. Your fathers ate the manna in the wilderness, and they died.. He reminded them and then explained WHO HE WAS. Jesus was the true bread from heaven. He was the Bread of life - I am the living Bread - the Bread which comes down out of heaven, so that those who eat of it will not die. 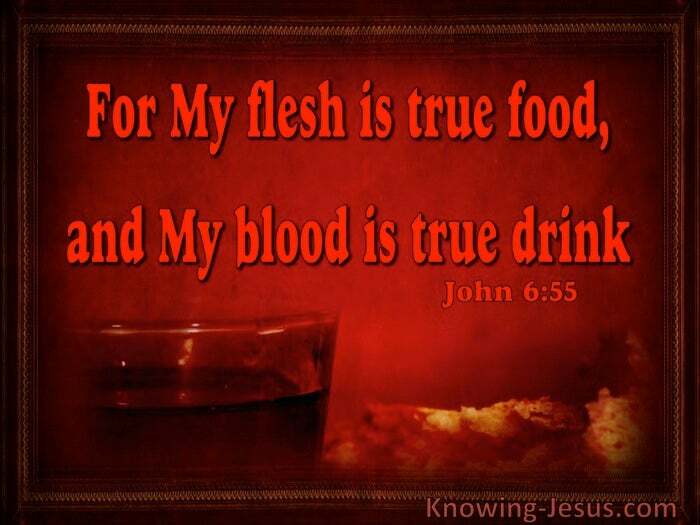 I am the living Bread and if anyone eats of this Bread, he will live forever - and the Bread also which I will give for the life of the world,.. is My flesh - for My flesh is true food, and My blood is true drink. No one but the eternal Son of God is good enough to pay the price for sin. No one but the sinless Son of Man is able to become man's kinsman-Redeemer. But God is spirit and God is eternal.. and the sacrifice for the sin of mankind had to be given by a physical MAN, who was willing to give His life as a ransom for many. It was by His death as a perfect man that Jesus paid the price for sin.. and it was by His death that the power of death would be broken for all who by faith are His seed. As the perfect Man He died to pay the price for sin - and as the eternal God, Who had life in Himself He rose from the grave, so that His life would become the life of ALL who believe on His name. 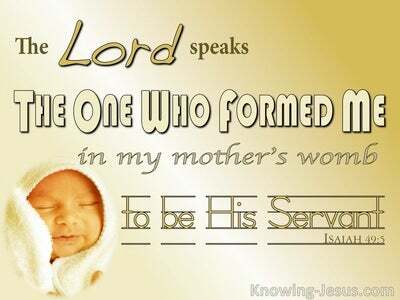 God loved the world so much that He gave His only begotten Son - the eternal Son of God to be born as the perfect Son of Man.. so that by His death we might be forgiven and by His life we might have eternal life.. for HIS flesh is the true flesh and His blood is the true drink. May we feed on HIM in our hearts by faith with thanksgiving - today and into the eternal ages to come. Heavenly Father, thank You that JESUS is the Bread of Life and that by partaking in His flesh and drinking of His blood we are cleansed from our sin and have received life everlasting.. To You be all praise and glory - in Jesus name I pray, AMEN.